Use this form to let us know if your community organisation is interested in applying for a loan to help you grow your trading activities to generate more sustainable income. We can offer loans of up to £50,000, interest-free for up to five years. Depending on the local needs you are addressing, we might also be able to offer some grant funding to support your work. Is your organisation run for the benefit of the community, rather than for private profit? Do you own or manage a building or outdoor space that’s used for a wide range of community activities? Do you involve a wide range of local people in your work, including more disadvantaged members of the community? Do you have realistic plans to develop trading activities that will grow your long-term income? Are you prepared to take on a loan that will need to be repaid? I confirm that I am authorised by my organisation to submit this grant application on its behalf. I agree that the Co-op Foundation may share this application (including any personal details provided) with Co-operative and Community Finance for the purpose of assessment. What is the legal structure of your organisation? Does your organisation have charitable status? Note: you don't have to have charitable status to apply for this funding, but we'll need to make sure that your activities are in keeping with the Co-op Foundation's charitable purposes for the public benefit. Do your organisation's activities mainly take place at your registered address? Where do your organisation's activities mainly take place? Tell us about the community (or communities) who benefit from your organisation's work (up to 200 words). For example, tell us about the areas they live in, or any characteristics or interests they share. What were your most significant sources of income? Please list any significant income streams and provide an approximate breakdown of their contribution to your total income. How long do you think you would need to pay back the loan? Note: we can offer loans interest-free over five years. If you think you'll need more than 5 years to repay the loan, we can consider offering a longer repayment term, but we will need to charge some interest in these cases. Would our funding cover all the costs of the work or project that you want to deliver, or would it be part of a larger funding package? If our funding would make up part of a larger funding package, what is the total estimated cost of your project, and what is the status of other contributions? If you would like to be considered for a grant, tell us about the sort of activities you would mostly like grant funding to support (up to 200 words). Once we've reviewed your expression of interest and supporting information, we will tell you how much grant funding (if any) you might be eligible for, and discuss these ideas with you further. Before we approve a loan, we will need to see a full business plan for your proposed activities. This will need to show us in more detail how a loan will help grow your organisation's sustainable income so it can better meet the needs of your community, as well as paying back the loan. If you already have a business plan, please upload it here. If you don't yet have a business plan we are still interested in hearing from you, and will be able to provide some further guidance on what you should include in your business plan. We’d value your feedback on our funding guidelines and application form. Your responses to this section won’t be used to assess your application but will help us improve our application processes. 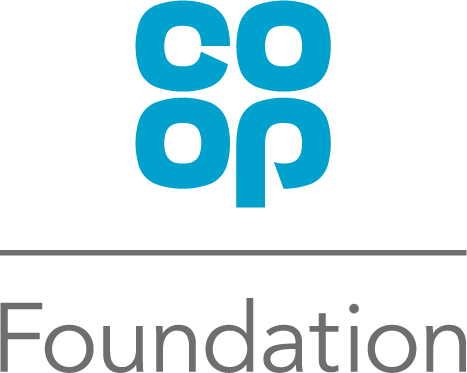 How did you find out about the Co-op Foundation's Community Spaces programme? Do you have any comments about this form? Was there anything you particularly liked, or anything that could be improved?